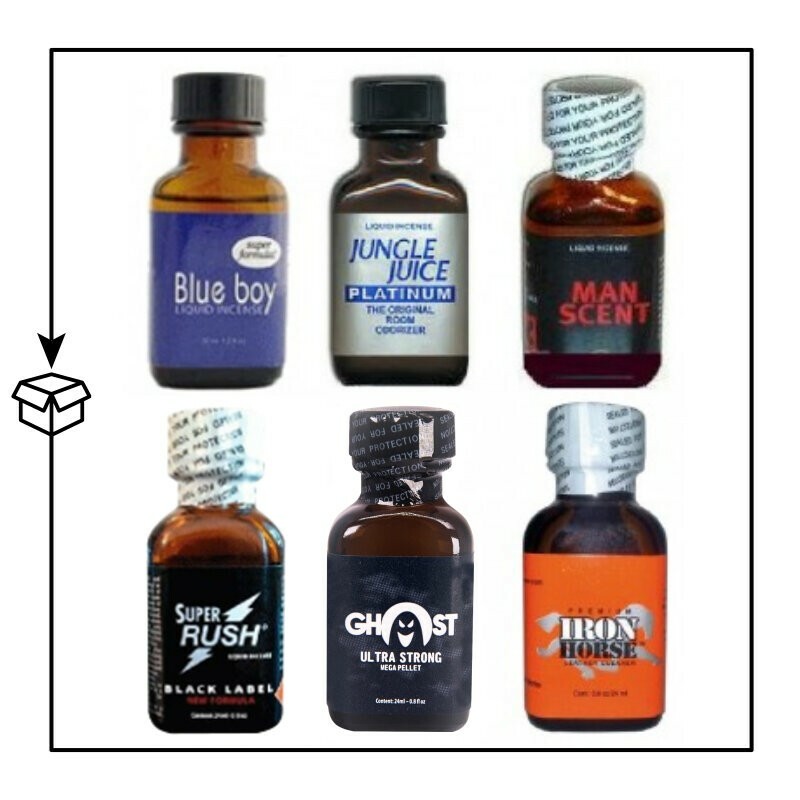 Un conjunto especial compuesto por 6 aromas grandes: 1 Blue Boy BIG, 1 Jungle Juice Platinum BIG, 1 Man Scent BIG, 1 Super Rush Black Level 24ml, 1 Ghost Ultra Strong 24ml y 1 Iron Horse 24ml. - 1 Blue Boy BIG. - 1 Jungle Juice Platinum BIG. 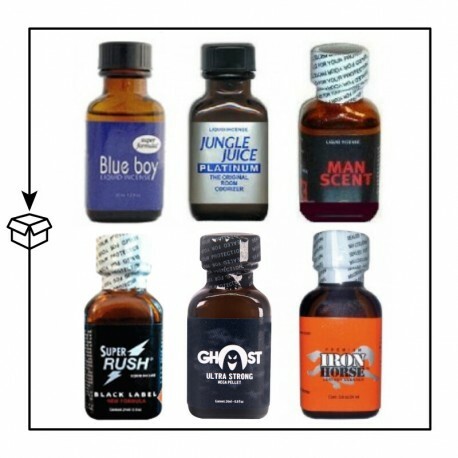 - 1 Man Scent BIG. - 1 Super Rush Black Level 24ml. - 1 Ghost Ultra Strong 24ml. - 1 Iron Horse 24ml.